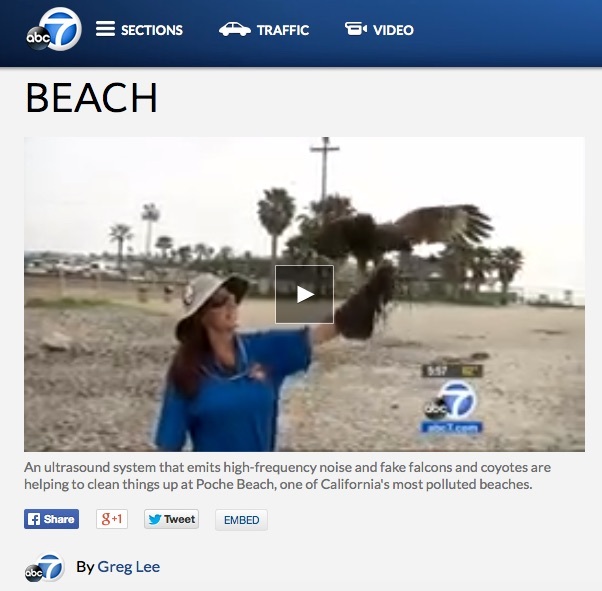 So last Friday local Channels 7 & 11 needed a quick bird clip and I was available on short notice. This entry was posted on Friday, February 27th, 2015 at 10:47 pm and is filed under Uncategorized. You can feed this entry. You can leave a response, or trackback from your own site. 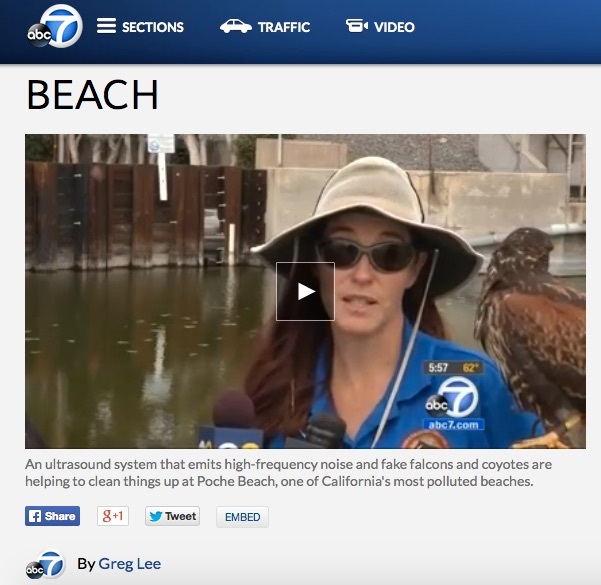 An ultrasound system that emits high-frequency noise and fake falcons and coyotes are helping to clean things up at Poche Beach, one of California’s most polluted beaches. Is that a FAKE girl??? ?